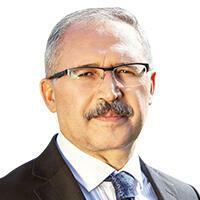 Turkey’s central bank is set to keep interest rates on hold at a meeting this month, columnist Abdulkadir Selvi said. Concerns among investors that the bank will cut rates on Dec. 13 are most likely unfounded, Selvi said in a regular column for Hurriyet newspaper on Thursday, citing economy sources he didn’t identify. The lira has lost ground against major currencies over the past week partly on concern that the central bank, under government pressure this year to keep rates low, will cut them to help bolster economic growth. The bank has promised to be cautious and measured in its response to economic developments, Selvi said. The positive impact of a rally in the lira and a decline in petrol prices may be temporary without structural reforms, he said, citing the sources.